When did UK Tribute Festivals Start ? 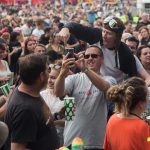 We started UK Tribute Festivals as Festwich 8 years ago in Prestwich Manchester, it was an idea to start a free to attend festival, basically put a load of bands in a park and have a good time. It was very naïve when I look back and very brave or stupid, some people told me it was stupid and a crazy thing to do, I kept telling myself surely if it’s free, people will come and have a look wont they ? I had nightmares on the lead up to the first ever Festwich, basically I would dream I’m stood in this vast field with stages, bars, thrill rides the whole lot and I’m the only one there, it was a recurring nightmare I would wake up sweating and think what am I doing ? The night before the first one I didn’t sleep at all, I actually went to the festival site at about 3am and waited for the sun to come up with absolutely no idea of how many people would be coming. There was a general suspicion back then when you gave free tickets out, people’s reaction is genuinely what’s the catch, a free ticket I don’t believe you, honestly it was a struggle to give free tickets away, how mad is that ! The other misconception we had to get over was – well if its free it won’t be any good will it, people often associate free things with being rubbish. Anyway long story short, we had about 3000 people turn up which was amazing and this year 20’000 over 2 days at Festwich alone. We can’t get any more people in Festwich the tickets all go every year, that’s how UK Tributes came about, rather than take Festwich to a bigger park, let’s take it around the UK and give Towns and cities their own free festival. I think Tim and Sarah my partners still think I’m stupid ! How many Festivals do you do and are there plans for more ? 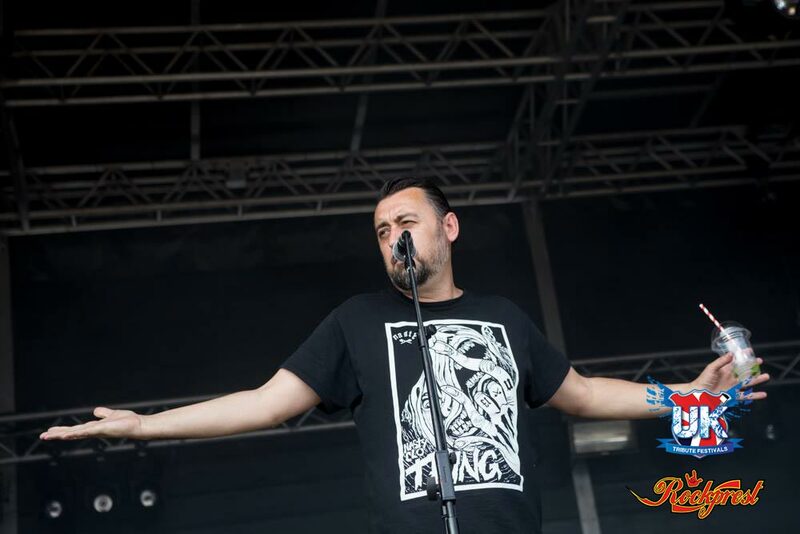 We currently do Festwich in Prestwich, Bolfest Bolton, Rockprest Preston, WV1FEST Wolverhampton, last year we started Hullfest in Hull and next year we are adding MKF – Milton Keynes Campbell Park. We’ve got our sites set right across the UK, we are constantly being asked to come to new areas, we are looking at Wales, Sheffield, Newcastle at the moment among many others. Why don’t you charge for tickets? A lot of People who attend the festival are constantly asking me why don’t we sell tickets as people would pay for this, it makes me howl laughing, the thing is these people would probably be the first ones to complain we’ve started charging. The simple fact is we don’t charge for the tickets that’s not the spirit of our festivals, the fact they are free brings a huge energy and massive feel good factor. We work hard to make sure the festivals deliver a quality experience that make memories for years to come that’s what it’s about, that’s the heart of it, we are not corporate and not obsessed with profit ! Not everything has to a have a price attached to it. We’ve had incidents where free tickets have appeared on resale sites at £45 plus, it’s ridiculous in these cases we have managed to get the tickets removed from unscrupulous greedy people we do everything we can to let people know it’s free what are you doing paying £50, do your homework ! 8 years ago we set out with an idea to have a free festival in Prestwich Manchester, I didn’t even think 8 years later we’d be taking them around the UK for everyone to enjoy, it’s incredible and I’m blown away by the response, this year we’ve probably seen the best part of 70’000 people attend, that’s mental and a beautiful thing. It’s obvious people are fed up of being ripped off they want value and we show them what can be achieved without having to pay huge ticket prices. How big is it getting? The whole UK Tribute Festivals has become like a travelling family, the production crew, the traders, the photographers and not forgetting the awesome bands, it is one big dysfunctional family that manages to pull off these magical weekends bringing everyone together to enjoy amazing music and leave smiling. 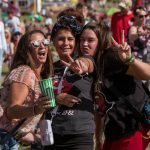 We’ve got people who follow the festivals now around the country and they’ve become our friends too, it’s brilliant what more could you ask for ? I still love booking the bands and putting the line ups and stage times together, in my head they are the real deal, they are the next best thing to say having Metallica or Stereophonics, of course they are. The bands we have play with such passion and the level of musicianship is something else, I don’t get to watch as many bands these days at our festivals as I used to but when I do, I’m often blown away by the bands performances and the crowd’s reaction, it’s amazing I love it ! The bands at Festwich are going out in front of 10’000 people, WV1FEST is going the same way in terms of numbers and the others are growing at a rapid rate, it’s all about rocking in the Free world !! How do you get tickets ? The Fu Fighters and Pearl Scam absolutely rock big time. Just headline the Fu’s at WV1 in 2019. Been to all 3 events at WV1.. prefer it to Download tbf. Atmosphere is fantastic and its not rammed to death… i can get close to the stage instead of having to use binoculars. Weclook forward to it every year best event going. Thanks for the kind words Simon. See you at WV1 2019! Thanks for taking the time to comment on the blog post John!